Bhutan Jewel Travel is Bhutan’s first Medical Tourism Agent. Till now we have catered to tourist that were on leisure trips and holidaying in Bhutan. And many a times, our guests used to talk about some knee problem, or a perpetual head ache and some even shared theirs or their family’s serious health issues. Such personal interactions with our Guests has brought me to come up with Bhutan’s FIRST Medical Tourism as a solution to help travelers come to Bhutan to explore and try our Traditional methods of healing. The medical method used in Bhutan is derived from gSo-ba Rig-pa (Traditional Bhutanese Medicine). Now with modernization Bhutan has a well-established National Institute of Traditional Medicine producing traditional medicines made from natural medicinal plants collected from the mountains in Bhutan namely the Laya, Lingzhi, and Lunana areas. Bhutan is a kingdom of natural and herbal medicines and the practice of treating patients with traditional medicines have been taking place since 1616. Many in Bhutan refuse all allopathic treatment and instead opt just for these traditional medicines and use other traditional means of healing like soaking in steam bath or having a hot stone bath or soaking in natural hot springs. In The Bhutan Traditional Medicine Hospital: Usually patients are checked and diagnosed by feeling their pulse, examining their Urine and checking their tongue and eyes, apart from physically examining the patient. Then the doctor/physician prescribes the medicines or states the activities to be undergone for healing like maybe a minor surgery, or acupuncture with a Golden needle, or some other metals. Hot Stone Baths: is available in almost all villages in Bhutan. Stones are heated with burning fire and then placed in water filled wooden bath tubs. It may get a bit murky due to erosion from the hot stones but it’s the medicinal benefit that we are concerned about. Then we can soak in this tub for as long as you can bear the hot water. Whenever the water gets cold, we take the stones out and put new hot stones. Whenever we feel too hot then we come out of the tub, stay out until cool and then soak once again. Hot Stone bath is supposed to heal ailing joints, back aches and sinuses. Hot Steam Baths: The steaming is usually done in the Traditional Hospital itself where one has to register for their turn which could take a few days or even a week depending on the number of patients in line. In the steam room herbs and minerals are put in the water and you are steamed in this. Hot Spring Baths: Hot springs are located in different parts of Bhutan and people of Bhutan know which hot spring is good for which ailment so usually the Bhutanese people go on their own and camp in these areas and take the bath until they feel better. We at Bhutan Jewel Travel suggest this treatment for patients who are willing to try alternate methods of treatment for their ailment. These prescribed treatments could help or may not help some patients so we cannot assure that every patient will be healed completely. For hot stone bath and hot spring baths, patients will have to travel to different parts of Bhutan for the healing process, which we at Bhutan Jewel Travel will be taking care of. For treatment purpose, if diets are prescribed, then Bhutan Jewel Travel will do their best in giving the patients the diet if available in the local markets. 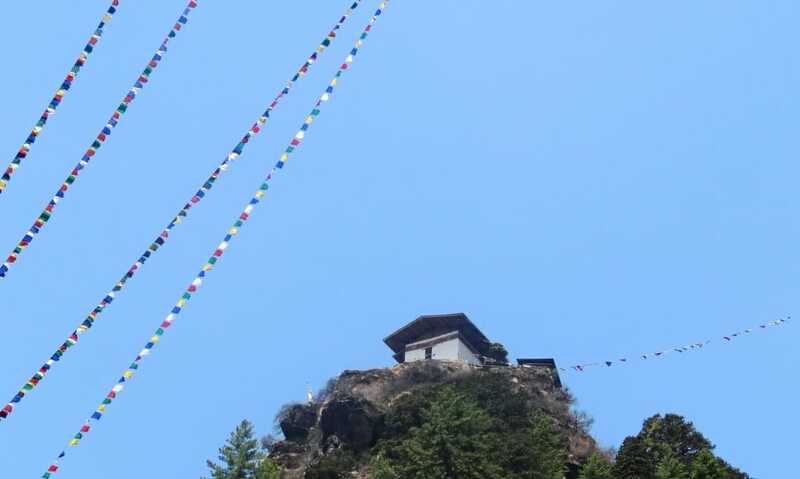 Book your Bhutan Tour as early as possible so that we can make all arrangements and make appointments with the Physician without wasting time waiting for an appointment. Extra Costs for medicines and other treatment like Hot stones baths etc will be charged separately. Bhutan Jewel Travel Welcomes all to try the benefits of Bhutan’s Healing methods with Traditional Medicines. Who knows what benefits it could have on ones health. Travelers under Medical Tourism can try the Traditional healing process and tour the beautiful country of Bhutan which is a great destination for good health as nature is bountiful with greenery all around, sparkling clear waters, streams, lakes and clean fresh air to help you feel better. In response to the growing interest of the tourists, the Faculty of Traditional Medicine(FoTM), University of Medical Sciences of Bhutan (UMSB) is planning to offer some talks on gso-ba Rig-pa, Traditional Bhutanese Medicine. The talk is especially designed to suit the interest and convenience of international visitors, who wish to gain an insight into the system of medicine, unique to the Bhutanese tradition and culture. The talk will be offered in the form of power point presentations or demonstrations for short session of 1.5 hours or depending on the demand of the participants. Participants can choose in advance any of the topics that best suit their interest. The schedule of the presentation will be adjusted any time during the working hours for six days a week (Monday–Saturday). Location will be at the Faculty of Traditional Medicine, Kawang Jangsa. The entrance fee per session will be USD 10/- per head or a minimum of USD 50/- if the group consists of less than 5 people. Participants are free to attend any number of sessions based on their interest. However, this has to be made clear at the time of registration.